il Cielo Restaurant, an award-winning rooftop Italian restaurant at Hilton Singapore, now has Chef Yohhei Sasaki at helm. 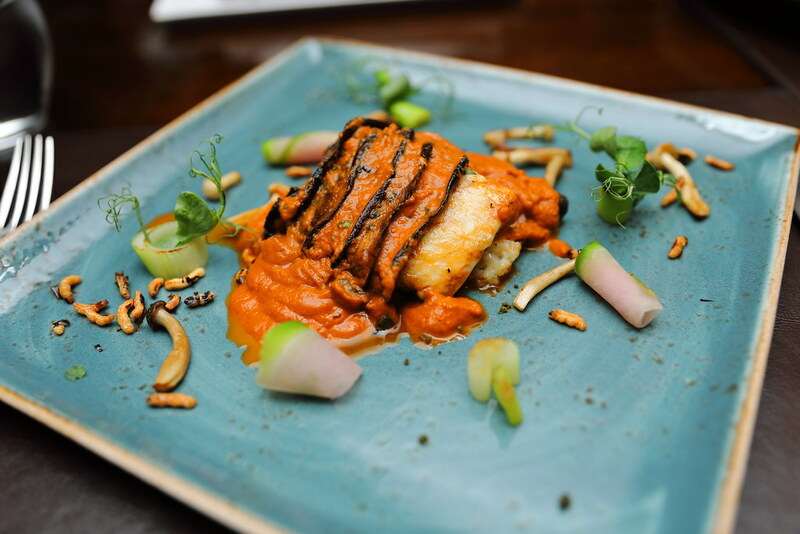 Expects a touch of Japanese flair from Chef Sasaki as he walks you through the different Italian flavours showcased in his new a la carte menu featuring Italian dishes created from locally sourced natural ingredients, as well as seasonal Italian and Japanese gourmet produce. 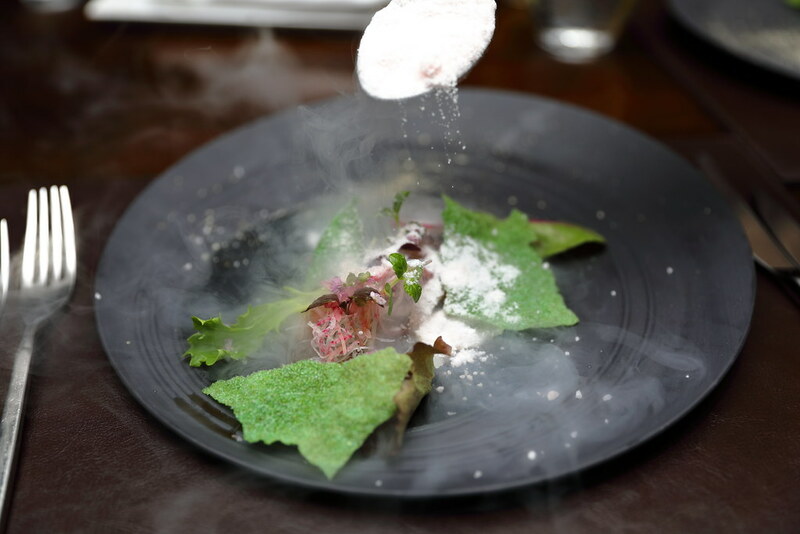 To get a glimpse of Chef Sasaki's culinary style, we tried his Japanese Degustation Menu. 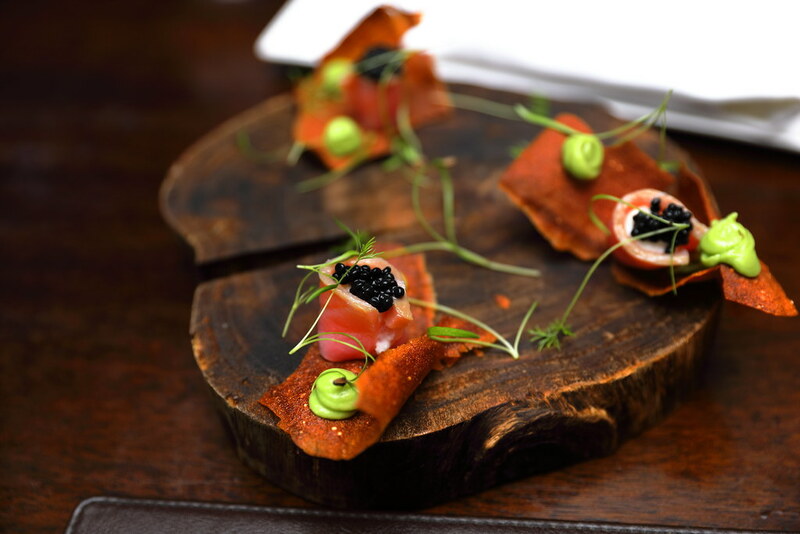 For Antipasti, we had St Kinmedai Carpaccio served with seaweed tuile, madeira wine dressing and pink grapefruit snow. It wad kind of emotive to watch the pink grapefruit snow fell onto my plate and sublimed. The seaweed tuile was beautifully crisp, like a layer of dew being crystalised on its surface. 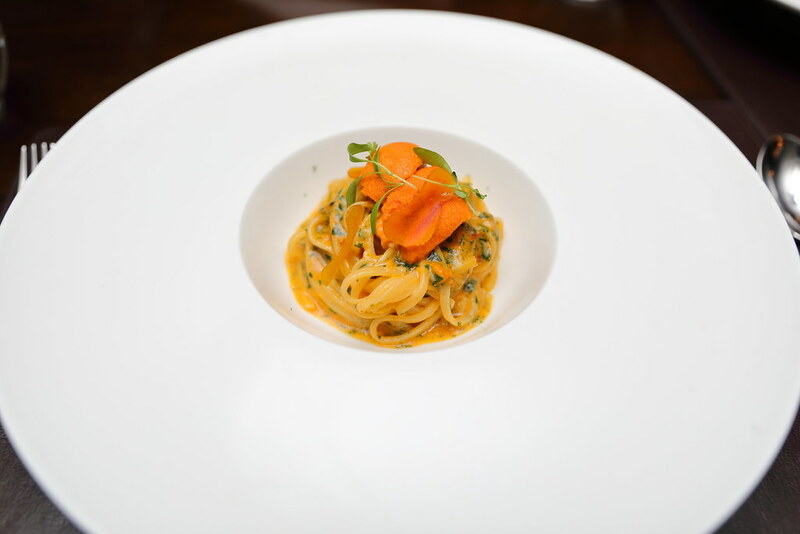 Our Pasta was a delicate bowl of Hokkaido Sea Urchin Spaghetti, Sardinia bottarga and yuzu juice. The handmade pasta was firm with a bite, coated with savoury Sardinia bottarga. The uni was intense enough for the portion of pasta served, balanced with a bit of zest from the yuzu juice. For the mains, you get to choose between Grilled Japanese Seabream and Caramelized Toriyama Wagyu A4 Short Ribs. 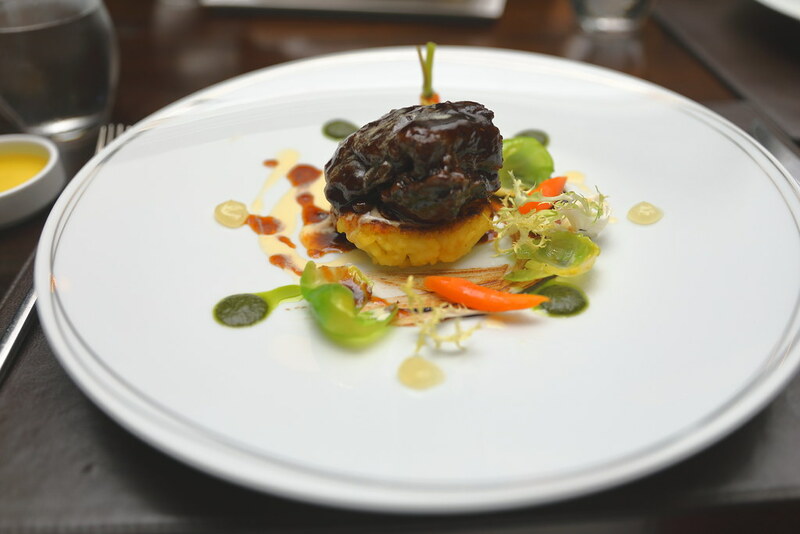 While the seabream has an unique combination with Portobello mushrooms, sautéed porcini risotto and green tea crumbles, the short ribs stands out with its fork-tender meat and rich yet balanced flavour. The accompanying sautéed saffron risotto supported it well, with lemon gel, Italian parsley sauce and caramlised onions for some assertive notes. The dessert is both visually and gastronomically pleasing. Again, you have two every strong ingredients representing its respective cuisine in its own right - Yuzu and Ricotta Cheese. 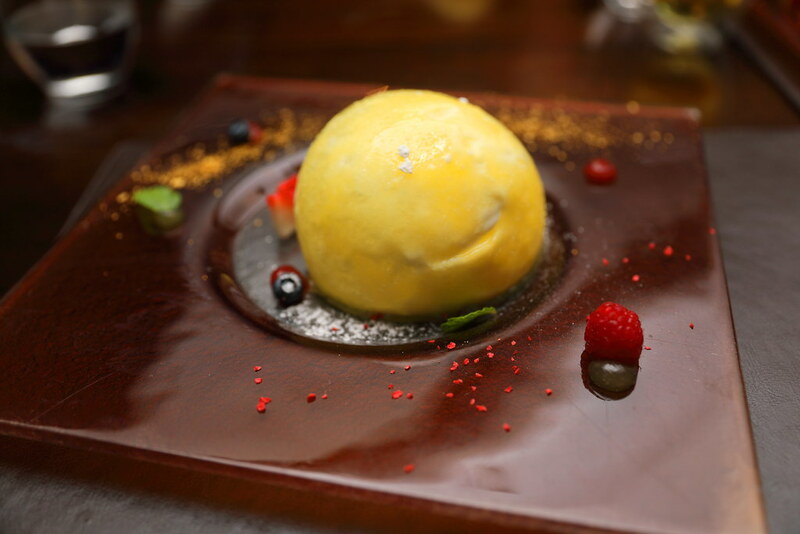 Encapsulated within the yuzu sphere is ricotta cheese espuma, lemon sorbet and honey gel. It was a very light and refreshing dessert to end off our meals. If you have some time to spare for lunch, Degustation menu for lunch is also available. Degustation Menu for Lunch 2-course ($25) / 3-course ($35). For dinner, the 5-course degustation dinner is $88/$118.